Shoppers have been warned to keep a close eye on their bags after several thefts over the last few weeks. Police have reported an increase in ‘bag dipping’, where purses, phones and other items have been swiped from handbags by thieves. 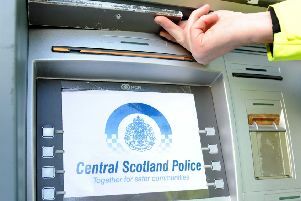 Kirkintilloch town centre has been the main hotspot for the opportunistic crime. A police spokesperson said: “We’d like to remind people to be vigilant, keep their bags fastened where possible and also look out for one another should they see anything suspicious”. To report a crime call 101.